CJE Micro's : Product info for Raspberry Pi Compute Module, Mounted and on a frame! 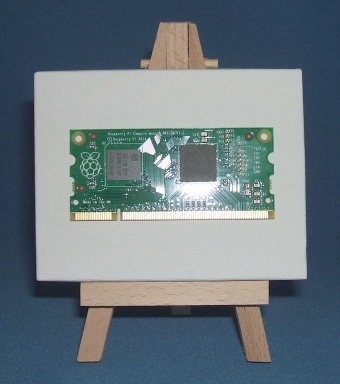 Product Title: Raspberry Pi Compute Module, Mounted and on a frame! A Raspberry Pi Compute Module mounted and on a frame!